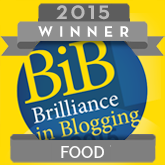 Allium vegetables – the ones from the onion family – form an important part of our diet. 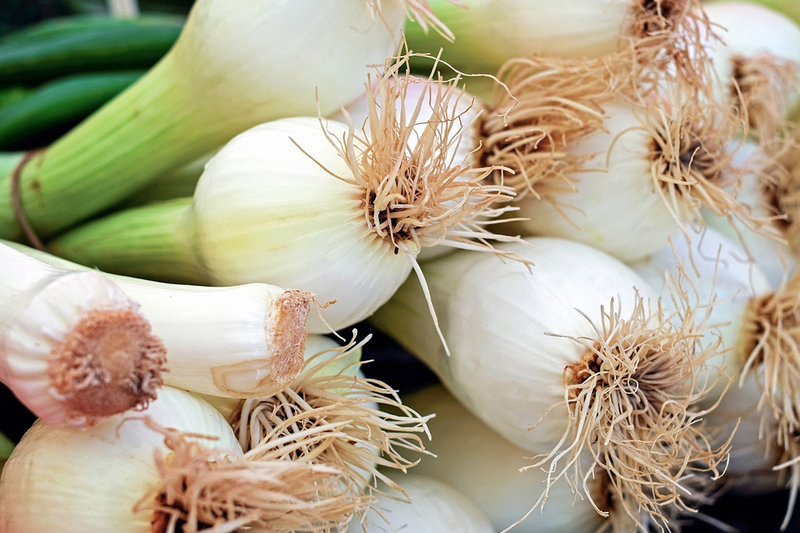 In addition to regular onions and spring onions, they include shallots and garlic, leeks and chives. Allium is the Latin word for garlic. These highly versatile vegetables are high in beneficial sulphur compounds, which is what gives them their distinctive smell, taste and, of course, tear inducing pungency. Recently, Price Kitchens, who know a thing or two about cooking, gave us a bit more information about onions and related vegetables. Widely available in the shops and easily grown in your garden, these kitchen staples form the basis of many delicious dishes you can prepare at home. What’s more, allium veg are also perfectly capable of being the star attraction – just think of the classic French Onion Soup, Braised Leeks or Roast Garlic. Regularly eating vegetables from the allium family has a wide range of health benefits that include lowering cholesterol, reducing blood pressure and offering cardiovascular protection, providing anti-inflammatory effects and anti-cancer activity. 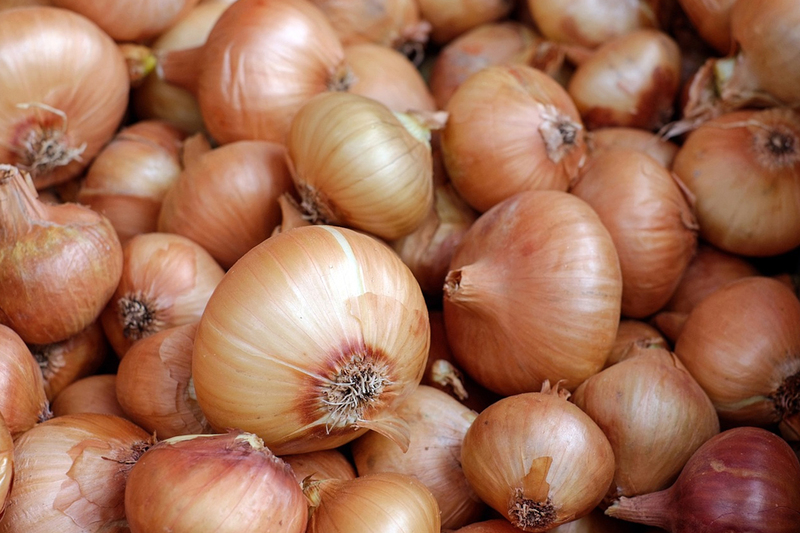 Originally from Central Asia and the Middle East, onions have been cultivated for a thousand years. In addition to culinary uses, they were also prized for their antiseptic properties and were used in mummification in Egypt. 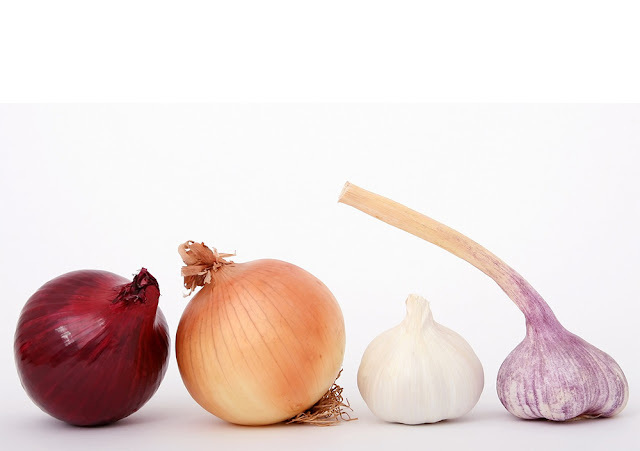 The common onion – Allium cepa – has white, yellow, red or purple skin. The onions that you buy at the shops are dry or ‘storage’ onions that have a stronger flavour and thick, papery skins in comparison to fresh ones. Pungent yellow onions are the best long term keepers, perfect for soups and stews. 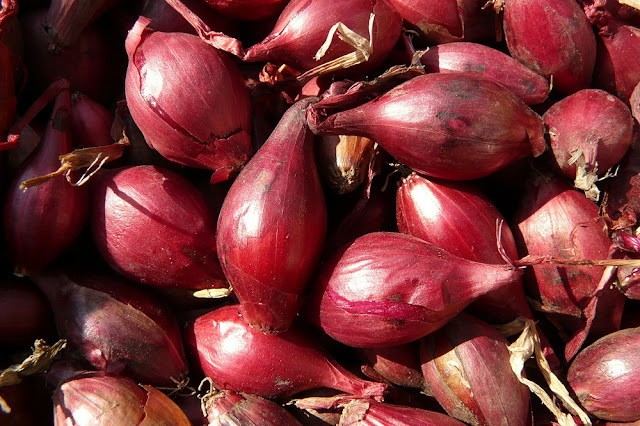 Red onions have a sweeter taste which makes them ideal for use in salads and sandwiches, but they won’t last as long. White pearl onions are the smallest type of bulb onion and a favourite for pickling. The name can be traced back to the Crusaders from Ascalon in Israel where shallots originate from. 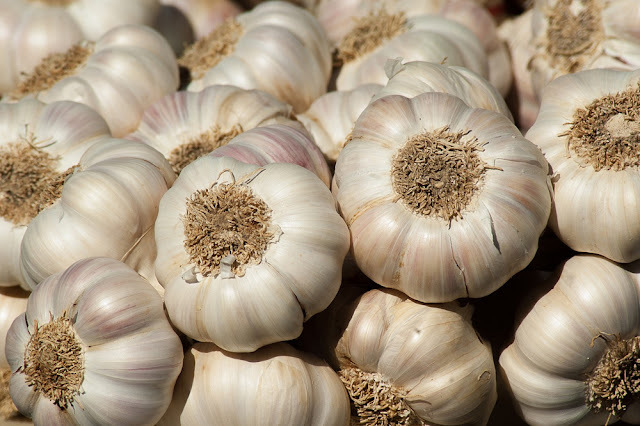 Like garlic, they grow as bulbs that are divided into a minimum of 2 cloves, which grow in clusters. Unlike other types of alliums, shallots have a tapered shape and a copper brown, red or grey colour. The vegetable has a sweet, mild flavour that sits somewhere between onion and garlic, which is why shallots are often favoured by professional chefs. Garlic originally comes from Central Asia and has always been known for its medicinal as well as culinary uses. Of all the allium vegetables, it has the strongest taste. Garlic is a hardy perennial that grows as a bulb, with each bulb being made up of individual cloves. Elephant Garlic or ‘great headed garlic’ (Allium ampeloprasum) has been growing in popularity recently. Actually a variant of the garden leek rather than a true garlic, the bulb is almost comically huge, with each clove spanning up to 5cm in width. With its mild taste, Elephant Garlic is perfect for roasting and baking, or sliced raw into a salad. Growing garlic is super easy, and there are lots of varieties for autumn planting. Just plant a clove in the ground and wait for the following autumn. Known as ‘scallions’ by our friends across the pond, spring onions are nothing other than the immature plants of a bulb onion that’s been harvested before the bulb has had a chance to fully develop. The white root bulb and the green tops can both be eaten. Allium fistulosum are bunching onions, typically sold in bunches in the shops, that have a milder taste than other varieties. 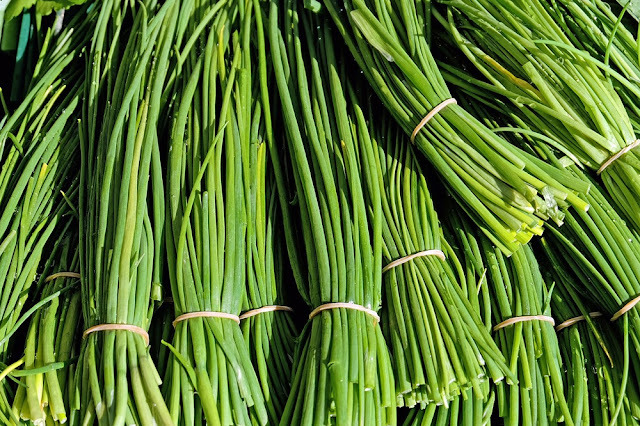 Spring onions are a tasty accompaniment to salads or a garnish for soups, and are perfect to add to quick stir fries. Also known as ‘poor man’s asparagus’, leeks look like enormous spring onions and are the largest vegetable of the onion family, able to reach up to 60cm in lengths and 5cm in width. The leek can be traced back to ancient Egyptian cooking, and it was a favourite vegetable of Emperor Nero who was convinced that leek soup benefitted the quality of his voice. 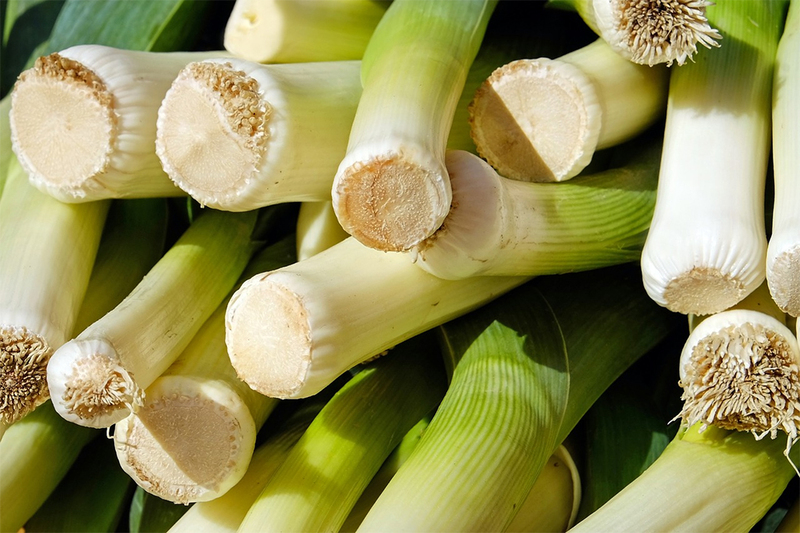 Leeks feature heavily in French, Dutch and Belgian cuisine and complement well with potatoes – as in Vichyssoise leak and potato soup. In eastern North America and Canada, wild leeks (ramps) are considered a rare treat. Unsurprising given their appearance, chives are a hardy perennial and closely related to grass. Together with tarragon, parsley and chervil, chives complete the classic French herb seasoning mix known as fine herbes. Garlic chives (Allium tubersosum) are also known as Chinese or Oriental Chives and make a good mild substitute for garlic. Snip them with scissors straight from the garden or window sill and add with sour cream to baked potato or to give the finishing touches to dips, salads and soups.